A life filled with Music and Amazing experiences with Incredible People. This blog began in 2009 with The Rhythm Road tour of The JazzIam Band. Singers/Songwriters : What Makes a Song a Standard? 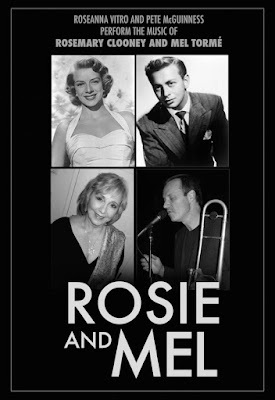 Roseanna Vitro has the gift of bringing popular, or not so obvious tunes, into the jazz celebration, with no limitations; a world developed early growing up in Arkansas in a family of gospel shouters who also dug opera and Frank Sinatra. 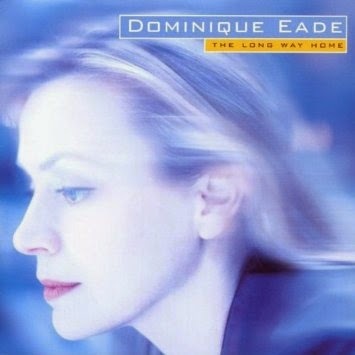 She’s sung alongside Kenny Barron, Oscar Peterson and Lionel Hampton. Vitro has recorded live at the Kennedy Center, and she’s recorded fabulous tributes to Ray Charles, Bill Evans and Randy Newman, for which she was nominated for a BEST VOCAL GRAMMY 2011. Scullers in Boston- March 5th - 7 pm. $30. Roseanna Vitro & Clarity debut at Scullers! Dean Johnson bassist, Tim Horner drums. The Jazz Connect Conference coincided with the APAP Conference (Presenters) and The NY Winter Jazz Festival in New York City this year. The JEN (Jazz Educators Conference) went forth the same time in San Diego. At the last minute, I received an email from Lee Mergner of JazzTimes Magazine, asking if I could throw together a discussion for singers on January 9th at 11:30 am. 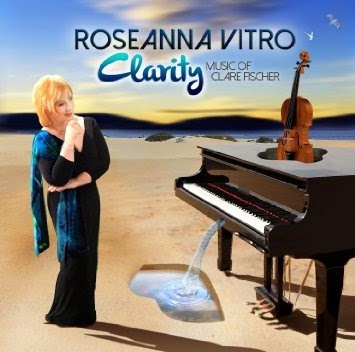 APAP - NYC - 2015 Roseanna Vitro and Clarity, Music of Clare Fischer - Jan. 10th, 3:30 pm. Jan. 11th, 3 pm. The Harlem Suite - NY Hilton Midtown - 6th Ave. & 54th St. The revered pianist and prolific composer passed away just two and a half years ago at age 83 after a distinguished career that began as arranger for the vocal group The Hi-Lo’s in the late 1950s and included 11 Grammy nominations along with some high-profile arranging work for pop stars Prince, Chaka Khan, Paul McCartney and Michael Jackson. On Clarity, Music of Clare Fischer, Vitro focuses on the man’s lifelong passion for bossa nova and Afro-Caribbean music, which first manifested with 1962’s Bossa Nova Jazz Samba, the pioneering album he made with sax great Bud Shank, and continued with 1964’s So Danço Samba and 1981‘s Grammy-winning Clare Fischer and Salsa Picante Present 2 + 2. Like her previous tribute outings -- 1997’s Catchin’ Some Rays: The Music of Ray Charles, 2001’s Conviction: Thoughts of Bill Evans and 2011’s The Music of Randy Newman -- Vitro puts a unique spin on Fischer’s music, courtesy of pianist Mark Soskin’s ambitious arrangements. Joined by her core crew from the Randy Newman project -- bassist Dean Johnson, drummer Tim Horner and violinist Sara Caswell -- along with special guests Mino Cinelu on percussion Clare’s son Brent Fischer on vibes, Vitro delves headlong into Clare’s world. You can hear Roseanna’s sheer commitment to the material throughout this stellar outing. From the opening “Morning,” first heard on Fischer’s 1965 album Manteca!, it is clear that she is up to the challenge. Fueled by Soskin’s churning 12/8 undercurrent, she sings this haunting melody (first set to lyrics by Clare in 1981 on his landmark Clare Fischer and Salsa Picante Present 2+2) in husky, alluring tones before breaking into some freewheeling scatting. The gorgeous “Web of Love (Inquietacao),” the only song here not written by the subject of this tribute album, was a Fischer favorite. Originally written in 1935 by Brazilian composer Ary Barroso, this version has Roseanna singing English lyrics written by New Yorker Roger Schore, showcasing the full range of her voice from soaring highs to luxurious lows. Caswell contributes an outstanding violin solo that elevates the proceedings with its tenderness and lyricism. “Love’s Path” is a soulful interpretation of Fischer’s “Love’s Walk,” a piece originally written for his wife Donna on his 2005 solo piano album Introspectivo. Lyrics here were written by Vitro’s husband, engineer Paul Wickliffe. “Swingin’ with the Duke” (an adaptation of Fischer’s 1983 piece “The Duke”) is straight up playful 4/4 burn with Vitro in Ella-inspired scatting mode. The lyrics here, co-written by Roseanna and Cheryl Pyle, tell us precisely what the Ellington was telling us with his swinging music. “Pensativa,” a Clare classic covered by the likes of Freddie Hubbard, Bill Evans and George Shearing, is rendered as an appealing bossa nova with Roseanna remaining faithful to Fischer’s beautiful melody and lyrics. “Life’s Journey” (originally titled “Pavillon” on Fischer’s 1984 album Crazy Bird) features new lyrics by Cheryl Pyle. Roseanna turns in a particularly passionate reading of “Sleep My Child,” which she calls ‘the heart of this recording.’ Originally recorded on Fisher’s 1967 album Songs for Rainy Day Lovers and dedicated to his then-newborn son Brent, it features Roseanna accompanied only by Soskin’s piano and Caswell’s violin. “This melody is up there with Jimmy Rowles’ ‘The Peacocks,’” says Vitro of this haunting number. “Take Your Breath and Sing (O Canto)” was originally recorded in Portuguese with a vocal group. This buoyantly swinging version features English lyrics by Roseanna’s husband Paul and a flowing vibes solo by special guest Brent Fischer. And the album closes on a soothing note with a version of Clare’s sweet bossa nova “I Remember Spring” featuring his never-before-recorded lyrics. Sarah Wickliffe- Art, Animation, Design.